If you are like most people, you try to eat healthy. This usually means you are stocking up on salads and vegetables, right? 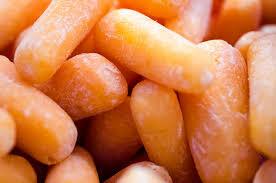 What about those baby carrots? Who doesn’t love those? They are the perfect size snack for little ones, fit easily in a zip lock bag, super easy for dips, and they taste so sweet! So when you see those bags of organic baby carrots go on sale, do you pop a few in your shopping cart, along with all those other organic produce items? 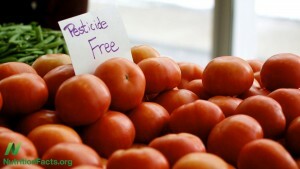 Do you feel great about serving your family these pesticide free products from Mother Nature? Let’s talk turkey about where those baby carrots (sometimes called cocktail carrots) actually come from. In the 1960’s and 1970’s, carrots that were broken or misshapen were actually thrown out or sold for next to nothing as pig food. One carrot farmer decided enough was enough! He began to peel these carrots into the familiar little 2 inch carrots we eat today. Over the past 30 years, carrots have been “bred” to make naturally smaller, sweeter baby carrots. Although they were not genetically modified in a lab, those baby carrots are still the product of more than 250 known varieties of carrots, interbred to get what we today call baby carrots. There is something else you should know about these carrots. To keep them small in size, they are planted very close together, harvested just 120 days after planting, washed, peeled, and then dipped in a chlorine bath. Yes, even organic carrots. In fact, all cut produce is dipped in chlorine. This is considered to be a standard practice. If they were not given this little dip in the pool, all cut or peeled veggies would rot within 2 to 4 days. Contrary to what most people think, that organic label your produce does not mean “pesticide free”. It doesn’t even mean “chemical free”. Depending on the state, organic farmers can use a wide variety of pesticides on their crops. The difference is that the pesticides they use must come from an organic source, not synthetic. Keep in mind that “natural” does not necessarily mean “safe.” Arsenic is organic but it can hardly be called safe. One problem with these organic pesticides is that, since they are not usually as effective as synthetic pesticides, more of them must be used. 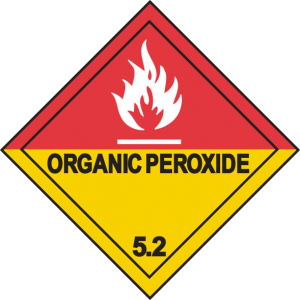 Rotenone and pyrethrin are two very common organic pesticides. One study found that it took 7 applications of rotenone and pyrethrin to kill the same amount of insects that two applications of imidan, a synthetic pesticide with a very short “life” after application. It’s hard to imagine anyone believing that 7 applications are better than two! Especially when you consider that rotenone is six times as toxic as its synthetic counterpart, Sevin, and that nicotine sulfate, used since at least the 1800’s, is not only quickly absorbed through the skin, but it is also six times more deadly than diazinon, a very popular synthetic insecticide. Why don’t organic farmers tell you that organic doesn’t mean pesticide free? It’s fairly obvious that they would lose business, so why mention it? Why don’t pesticide manufacturers tell you this? Why should they care? Whether they are selling organic pesticides or synthetic pesticides, they are making money. This doesn’t mean that you shouldn’t buy organic produce. We simply want to make people aware of what they are actually paying for. Organic does not mean pesticide free. Unless you know the grower and can ask him what he has used on his crops, you don’t really know and you could be paying three times the price for organic produce! This doesn’t seem to make a lot of sense if you are still getting produce that contains pesticides. 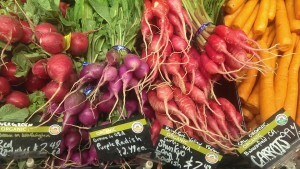 This is why shopping at your local farmer’s market can be so very helpful. Ask the farmer exactly which pesticides he uses on his produce and why. In today’s information age, you can look up these pesticides and make sensible food decisions for you and your family.